This is a genuine OEM replacement part. Warranty: This is a genuine OEM replacement part. Wall Mount Power Supply. Primary Voltage: 120V AC, .43 Amp. Secondary Voltage: 24V AC, 1.5 Amp, 40 VA. Auto-Reset Overload Protection, LED Power Identification. 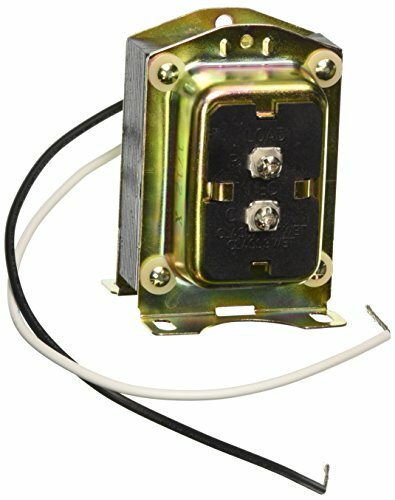 Terminal Connection for Secondary Voltage; Grounding Prong & Terminal. 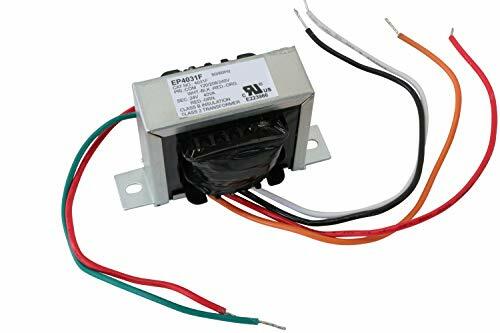 Input Voltage: 120 VAC, 60Hz, .43A, Output Voltage: 24 Volts A.C.
H = 4.14-Inch, W=2.74-Inch, D = 2.2-Inch. 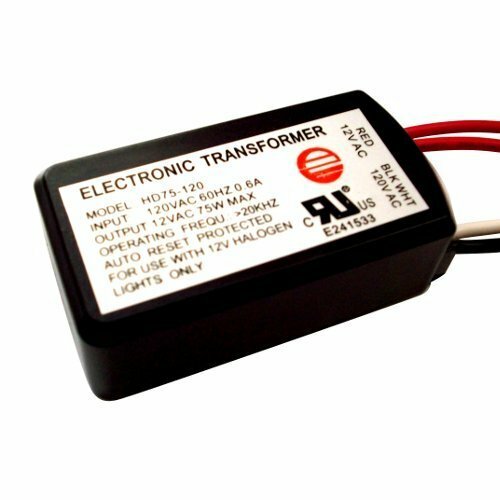 Class 2 rated, inherently limited transformer's easily mount for use on low voltage control circuits. Designed for over 60,000 hours continuous use under normal load conditions. Brand: Packard | Manufacturer: PACKARD INC. Positive / Negative / ground Screw Terminals. LED Indicator. No user manual or documentation in the box. Ancable Ground Loop Isolator is a capacitive-based isolator that provides a high impedance barrier to AC power-related ground currents. It can prevent hum or buzz in sound systems as well as hum bars in video systems, while providing a transparent path for radio frequency video and cable modem signals. Ground loops can happen even in the most carefully planned A/V system. When ground loops happen in a video system, the result is unwanted hum or video hum bars. In cable TV systems, the power supply for the cable system amplifiers are powered by a different source than the equipment that is used to enjoy the programming. The National Electrical Code requires the cable system to be bonded to the power service entrance ground, but in actual practice, this is not always the case. Even when the code is properly observed, there are other factors that can cause a difference in ground potential. It can be because one of the circuits is loaded more heavily than the other, or because one run is longer than the other, or any number of other reasons that are beyond the scope of this article. The result of this difference in ground potential is commonly referred to as a ground loop. 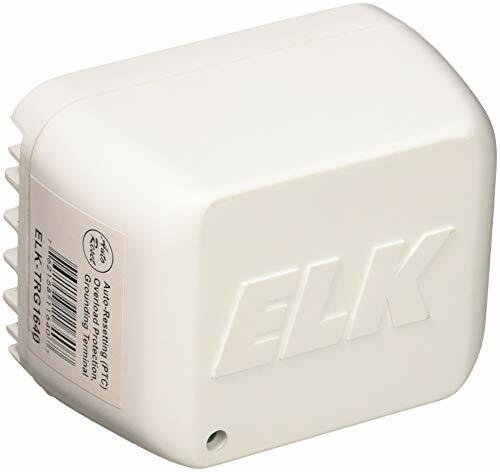 Ancable Ground Loop Isolator is elegant in its simplicity. 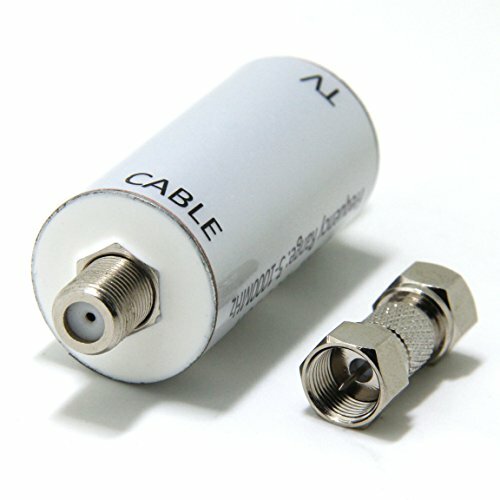 Just insert it anywhere in the RF line between the cable TV and your equipment. Immediately, the effects of the ground loop become a non-issue. Problem solved. There are not too many things that one can install in an A/V system that can provide so much improvement with so little effort. - No more Hum/Buzz/Noise, No More Rolling Line.With this unit,you can eliminate audio hum/buzz/noise and horizontal scrolling bars caused by ground loops. - Product shows superior RF performance operating at a frequency range of 5 - 1,000 MHz. Maximum insertion loss is 1.5 dB. at 1 GHz. - Perfect design with a metallic housing that provides excellent RFI shielding of > 85 dB. The Housing is environmentally sealed against moisture and humidity. Heavy duty for continuous use. This voltage converter can be used in 120 volt countries and 100 volt countries. It will convert from 120 volt to 100 volt AND from 100 volt to 120 volt. Features On and Off switch. 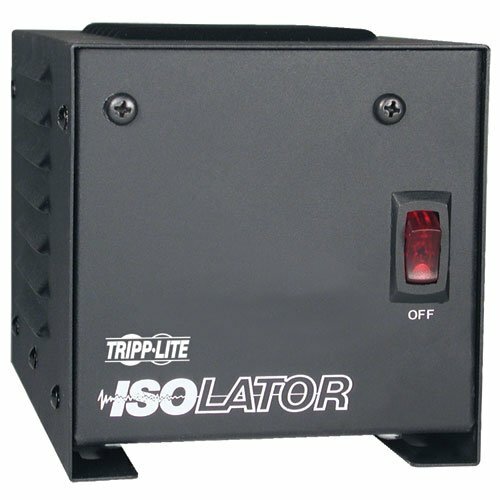 Fuse protected Specifications Capacity 500 watts Dimensions (W x H x D) 4.7 x 6.0 x 4.1 in. Weight 8.36 lbs. 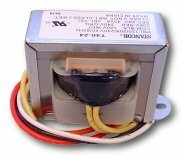 500 WATT STEP UP / DOWN JAPANESE VOLTAGE TRANSFORMER - This step up and step down voltage transformer can be used for small electronic appliances. This is the best step Up/Down Japanese voltage converter on the market. HIGH VOLTAGE TRANSFORMER- This power transformer can be used in 120 Volt countries in North America and Japan is 100 Volts. It will convert from 120 Volt to 100 Volt AND from 100 Volt to 120 Volt. CE CERTIFIED VOLTAGE CONVERTER - The CE marking is a certification mark that indicates conformity with health, safety, and environmental protection standards. 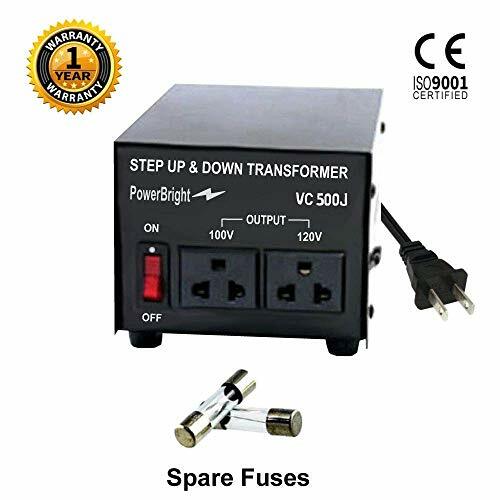 FREE BONUS ACCESSORIES: Includes grounded schuko plug adapter, two spare fuses. 1 year parts & labor warranty, specialized customer service team & technical installation support via email, phone or Live Chat. Prevent Power Disruptions in Medical Environments - UL60601-1 Compliant All isolation transforms must conform to the UL 60601-1 standard when used within patient care areas. 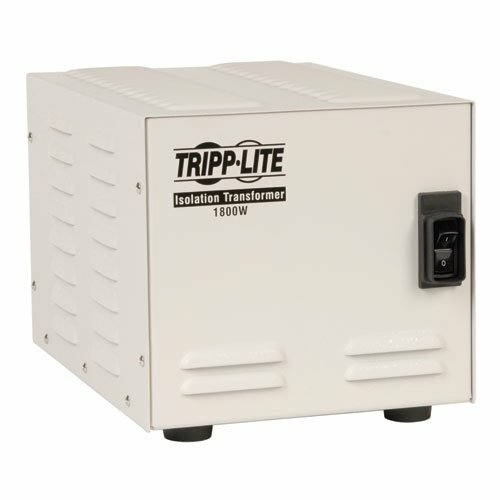 Prevent power disruptions for all sensitive devices in patient care areas and other vulnerable environments with Tripp Lite s IS1800HG Medical-Grade Isolation Transformer and Power Conditioner. Featuring an internal isolation transformer in an all-metal housing with Faraday Shielding, the IS1800HG completely isolates equipment from line noise that can cause incremental, but devastating, equipment damage. 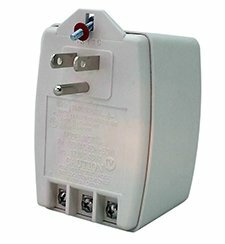 Its 1190-joule surge suppression rating protects equipment from strong surges and spikes caused by utility power disruptions and nearby equipment operating on the same circuit. With 100% isolation from the input AC line, the IS1800HG eliminates leakage and shock potential down to less than 100 microamps. The IS1800HG s 10-ft. power cord allows for flexibility when installing, while the built-in circuit breaker prevents dangerous circuit overloads. An 1800-watt capacity allows the IS1800HG to be used with a variety of sensitive monitoring, diagnostic and computer equipment. The 6 widely spaced 5-20R-HG hospital-grade output receptacles accommodate standard 5-20P-HG industrial-grade input plugs, and a power switch offers convenient, one-touch control. 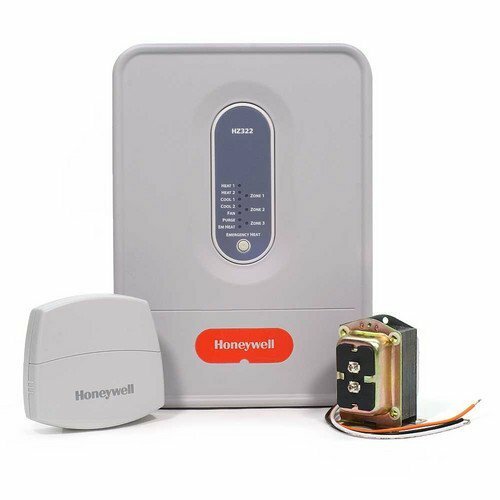 For peace of mind, the IS1800HG comes with a two-year warranty, is TAA-compliant for GSA Schedule purchases, and uses a RoHS-compliant design. 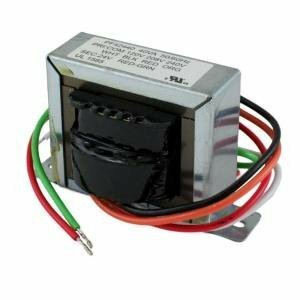 View larger Approved for Use in Patient Care Areas UL 60601-1 compliance is required for isolation transformers within patient care areas in order to avoid hazardous conditions and provide an optimally safe environment for patients, staff and visitors. By isolating equipment from unpredictable and disruptive utility power, the IS1800HG eliminates the need for dedicated circuits or costly upgrades to a healthcare facility s electrical system. 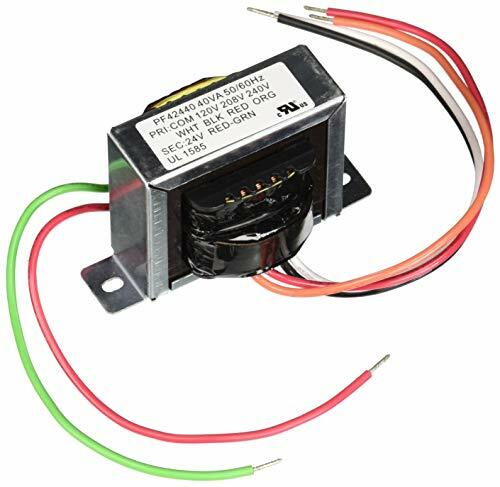 The internal isolation transformer with Faraday Shielding provides 100% isolation from the AC power line for equipment plugged into the IS1800HG and reduces leakage to less than 100 microamps for full UL 60601-1 compliance. 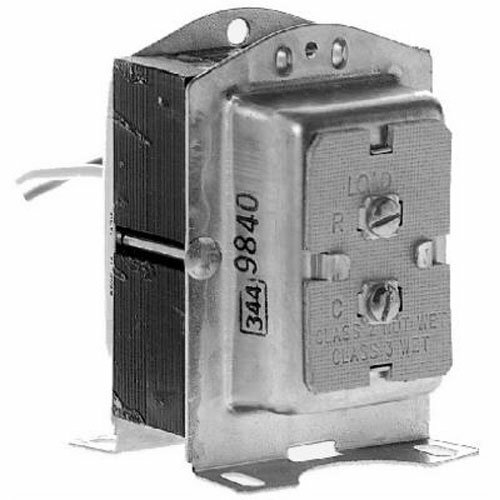 The IS1800HG is perfect for protecting sensitive medical equipment that can be affected by EMI/RFI line noise, utility switching transients, background spikes and other unpredictable power conditions. High-Capacity with Robust Power Protection The IS1800HG s 1800-watt capacity can handle a variety of electronic medical devices, while features like an 1190-joule surge suppression rating, integrated circuit breaker and powerful line noise filtering ensure ultimate protection and safety in even the most hazardous conditions. With continuous transformer filtering and no wearable parts, the IS1800HG reduces surges in the worst power environments to harmless levels. 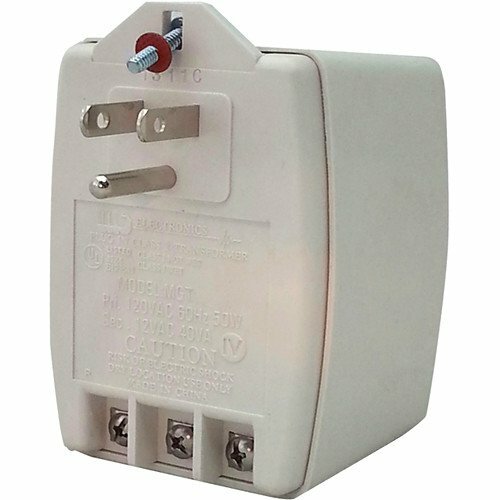 Convenient, User-Friendly Operation A 10-foot cord allows for flexible installation, while six hospital-grade NEMA 5-20R-HG output receptacles let you plug standard equipment into the IS1800HG without any adapters or custom power cords. 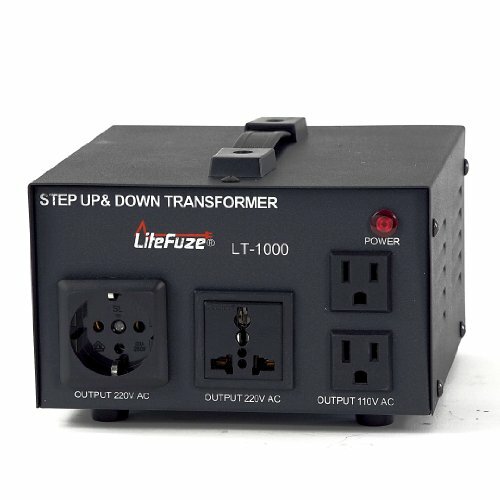 Operation is easy; simply plug the IS1800HG into a grounded three-prong utility outlet, plug your equipment into the IS1800HG and turn the power on with simple, one-touch lighted power switch. 2-Year Warranty and Environmentally Responsible Design The IS1800HG is backed by a 2-year warranty and is compliant with UL 60601-1, TAA, and RoHS standards. Very compact design. NORYL casing (heat resistant - a necessity for transformer enclosures). Capacity 2.0A at 16 Volt open circuit - and 12 Volt under load = 24VA (DC). Primary supply 110-120V. Polarized socket for MICROMOT plug. Red LED indicates readiness for use. PTC (Positive temperature coefficient) element prevents overload, the plugged in tool will not automatically restart. 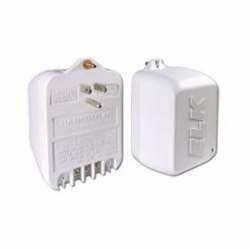 After cooling down, the AC wall plug should be disconnected briefly to reset the adapter. Modern design with holes for storing bits. Foldable tool rest provides a secure place for keeping the MICROMOT tool ready for use. 5. Other common USB peripherals, such as mouse, keyboard, USB sound card, USB flash drive, printer, digital camera, USB hub (HUB), USB camera. USB Flash Drives USB Flash Drives USB Flash Drives USB Flash Drives USB Flash Drives USB Flash Drives USB Flash Drives USB Flash Drives USB Flash Drives USB Flash Drives USB Flash Drives USB Flash Drives USB Flash Drives USB Flash Drives (FT232, CP2102, PL2303, CH341 chip). Keyboard, mouse, USBASP, USBHID device, USBCDC device. 3.After testing does not support the device USB wireless network card, some USB3.0 USB. The product onboard power supply Sunrise Sun B0505S power 1W, when your USB device operating current> 180mA, you can use USB double-headed line plus power supply. This product supports low speed equipment and full speed equipment, does not support pure high speed equipment (USB2.0). Most USB devices are backward compatible and can be used. If the system prompts an unrecognized device when using, please adjust the speed selector and then reinsert the isolator. Power supply: from the USB port to the PC host. Support USB control transfer, bulk transfer, interrupt transmission, synchronous transmission/etc. 12 Mbps support USB 1.5 Mbps at low speed and full speed does not support pure high-speed equipment. 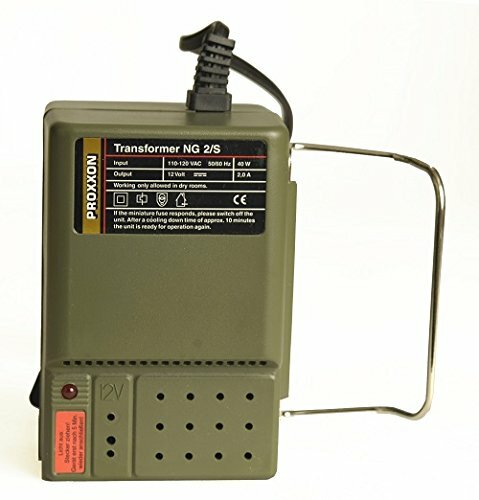 This is a Endurance Pro Control Transformer Class II Foot Mount, 40V/24V. 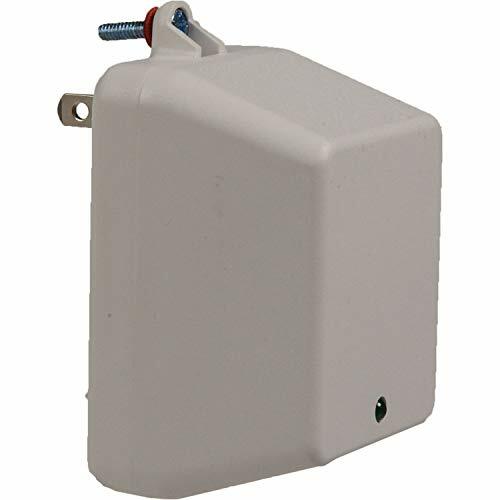 Class 2 rated, inherently limited transformer's easily mount for use on low voltage control circuits. Designed for over 60,000 hours continuous use under normal load conditions. UL/CSA approved parts assure safe operation and long life. Warranty- All SupplyEdge parts come with a 1 year no questions asked warranty.